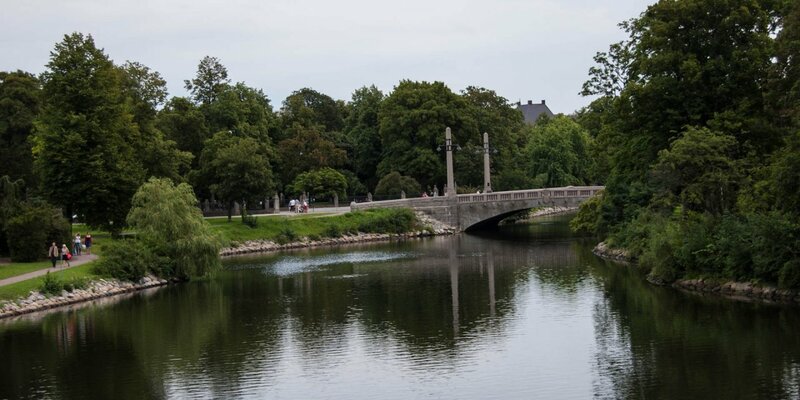 The beautiful, 26-hectare Alnarpsparken with the castle Alnarp is located about 2 kilometers south of Lomma. It has around 2,500 different tree and shrub species from every continent and is one of the most biodiverse parks in Sweden. 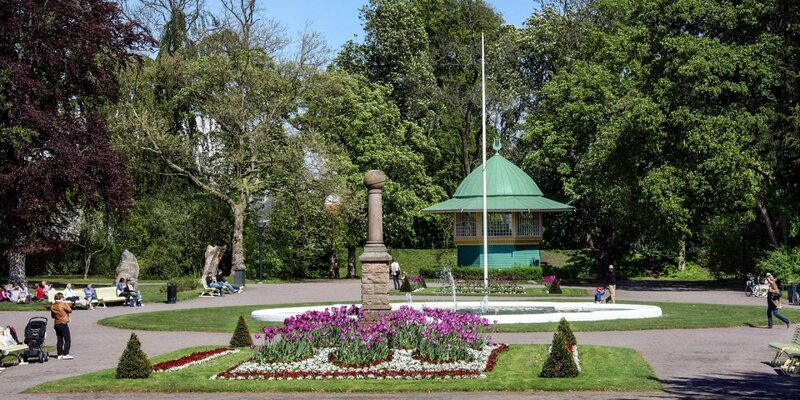 The species richness of the Alnarpsparken is no coincidence, cause it was created 1859–1880 in relation to the new Agricultural Institute of Alnarp, opened 1862. Today, there are faculties for gardening, landscaping and agriculture sciences of the Swedish University of Agriculture (SLU). The park serves both as the university campus as well as for teaching purposes in the context of academic education and scientific research. In addition to countless trees, bushes and shrubs, there is a large garden on the park grounds. It is situated at the northern edge of the park, next to the parking lot at Skogshusvägen. A part of this garden is planted anew each year, while the other part is reserved exclusively for perennials. The Skånska Lantbruksmuseet is located only about 200 meters east of the garden, whose exhibits telling the history of agriculture in Skåne. In addition to the immense variety of plants, the park is also home to a very diverse population of birds and about 10 species of bats. The so-called castle Alnarp is not a castle in the strict sense, because it was never the home of a nobleman. Instead it is the main building of the Institute of Agriculture, built from 1859 to 1862 in Dutch Renaissance style. The castle and other institute buildings from this time consists of a masonry with striking yellow bricks that came from a brick factory near Alnarp, which was the specially built for the construction of the institute. 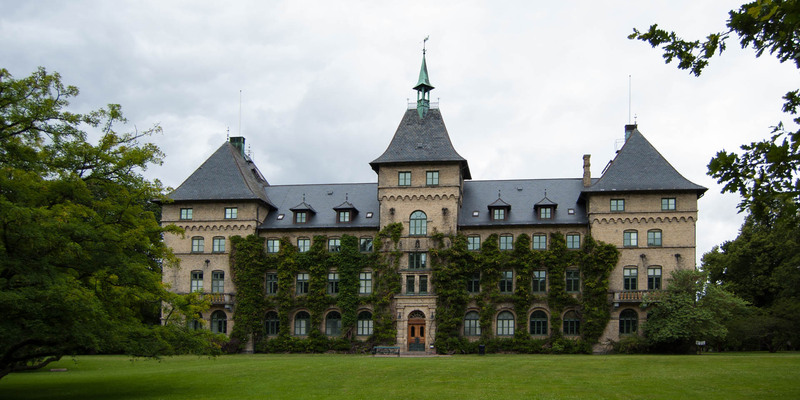 Architect of the castle was the Danish architect Ferdinand Meldahl, who was in charge of constructing and renovating numerous prestigious public buildings, castles and manor houses in Denmark and southern Sweden. The site was first mentioned in 1100, owned by the Danish nobleman. The possession of the land changed several times over the centuries until it was inherited by the cathedral chapter to Lund in 1654. With the Peace of Roskilde in 1658 the estate passed to the Swedish krona and was initially given as a fief to various noble families. The Swedish Parliament decided to found the agricultural institute in Alnarp in 1857 and the last lease of the land expired in 1862. The construction of the castle and the creation of the park began in 1859. 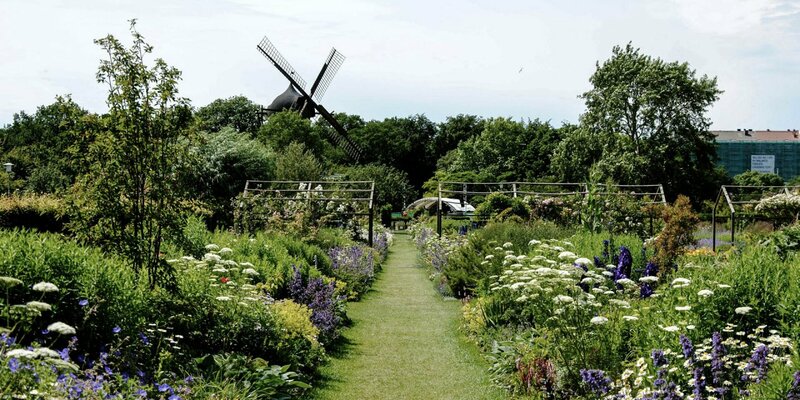 The park was designed after the model of an English garden with paths, lawns and slightly undulating terrain framed in a forest of oak, elm and ash trees as well as rosehip and hazelnut trees. This forest was thereby largely deforested and only a few remants still existing today. To travelogues of the botanist Carl von Linné it was the only contiguous elm forest in Sweden in the 18th century. While the castle was completed in 1862 and the institute could start operating, it took another 18 years to complete the park.